Hilton has announced the ten global winners selected for its annual Thrive Sabbatical 2019. The program awards each winner an all-expenses paid four-week sabbatical to pursue a cause that is closest to their hearts, as well as a stipend of US$5,000 (SG$6,900), and a travel camera to document their memories. 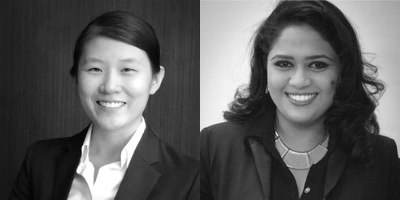 This year, Hilton hailed two winners from Asia – Hilton Garden Inn Singapore Serangoon’s Angel Hu, and Hilton Colombo Residences’ Minoli Senanayake. “We are constantly looking for the best ways to provide our team members with meaningful opportunities that will allow them to live their best every day and the Thrive Sabbatical program enables 10 of them each year to grow and flourish as individuals as we provide the resources and time they need to fulfill what might be a lifelong dream,” Paul Hutton, Vice President, Operations for Hilton in South East Asia said. “We are very proud of Angel and Minoli who are going to take the opportunity to work with organisations of their choices to give back to the community. This is what being part of a company with the extent of our scale and footprint across the globe is all about and we look forward to seeing the impact of their journey during their sabbaticals,” added Hutton. In keeping with the company’s purpose of launching the “[email protected]” initiative in 2017, which focuses on providing benefits and welfare for its team members’ well-being, the Thrive Sabbatical will allow employees time to give back to their communities. In order to qualify, individuals have to complete five consecutive years at Hilton, and submit an online application detailing the activities and desired outcomes of their sabbatical. For the submission, employees could either choose to “Give a Dream” or “Live a Dream”, either by enriching the lives of others through volunteering or a philanthropic activity, or by achieving a personal goal by exploring a new interest. The sabbaticals must take place in 2019. Now in its second year, some 365 sabbatical applications were submitted for consideration. These were reviewed by an independent panel, which then chose the ten winners.